What is induction cookware? Why you can't use just any pots and pans. The first time I came across an induction stovetop was during a Thai cooking class. The chef was just beginning her demonstration when she couldn’t stop talking about how great induction cooktops were and that she had also recently had one installed at home. I peered at the elements that looked sleek and worlds away from the other electric cooktops I’d previously used. There were no bulging elements, just a clean and clear ceramic glass surface with faint circles marked on it. The two biggest benefits, the chef explained, were that they heat up fast so they save you time, and are safer to use. "The two biggest benefits, the chef explained, were that they heat up fast, saving you time and are safer to use." Image via Getty. I turned it on with a swipe of my finger across the numbers, indicating the temperature level and after testing it first hand, it was easy to see why they are becoming so popular, particularly among those of us who are time poor and just need things to be done now. But what exactly is the difference between an induction cooktop and other electric cooktops? And did you know you can&apos;t use the same pots and pans on induction that you might use on a traditional stovetop? 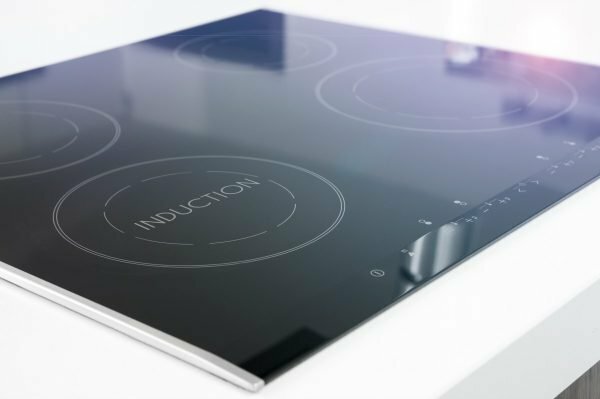 What is induction cooking and how does it work? An induction cooktop is a type of electric cooktop. Under the ceramic glass surface of an induction cooktop are electromagnetic coils that transfer energy directly into metal objects. What this means is induction cooktops heat the cookware directly. This is different to other types of electric cooktops, such as coil or smooth top that heat up before heating the utensil you place on top of them. 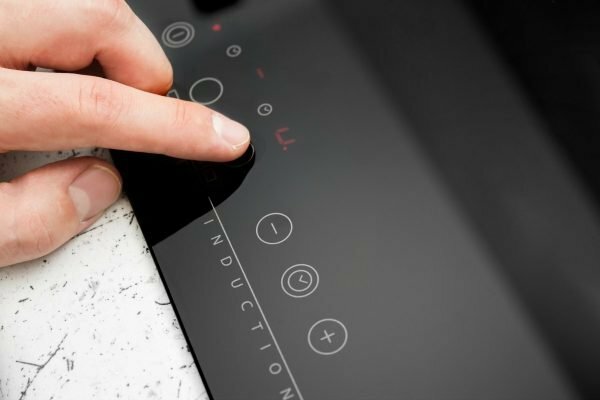 There are several advantages to induction cooking. We&apos;ve already mentioned how they heat up faster and therefore make cooking quicker and easier. "The heat is easy to control," says Jenny Murphy, a mum who recently purchased an induction cooktop. "If it&apos;s on high and you need to turn it down to a lower temperature you just have to choose a lower number and instantly it goes from hot to medium." "You just have to choose a lower number and instantly it goes from hot to medium." Image via Getty. When an induction cooktop is turned off, it also no longer transfers any heat, so it&apos;s much safer to use and significantly decreases your chances of burning yourself. This is particularly useful if you have a family and little children in the kitchen. "I love the control. When you turn the hotplate on, it doesn&apos;t actually start to heat up until you put the cooking pan on it and when you turn it off, it starts to cool down immediately, not like a usual cooktop," Jenny adds. Another benefit is they are much easier to clean as you can wipe over one smooth surface and don&apos;t need to worry about trying to get into any nooks and crannies to clean out. Is induction cooking more cost effective? While an induction cooktop will likely cost you more in the initial purchase when compared to a coil cooktop or smooth top cooktop, they use less energy so are cheaper to run. This is mostly due to their efficiency, with 90 percent of induction heating reaching the food as opposed to 65-70 percent for coil or smooth top. How do I check if my cookware is induction compatible? 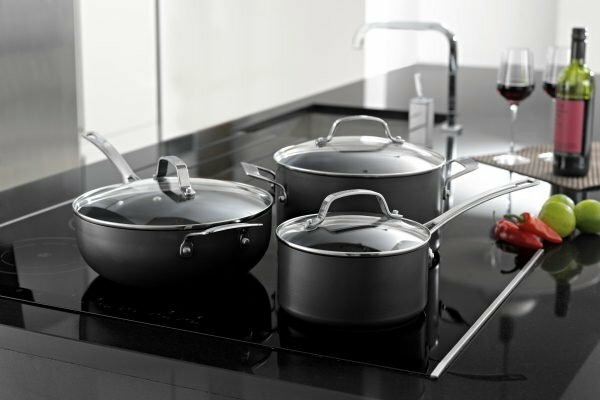 Not all pots and pans can be used on an induction cooktop and you need to buy specific cookware that is compatible. Cookware used on induction cooktops needs to be magnetic as this is the way they transfer heat. You can tell if your pot or pan is compatible by holding a magnet to it. If the magnet clings to the pan firmly, it will work on an induction cooktop. 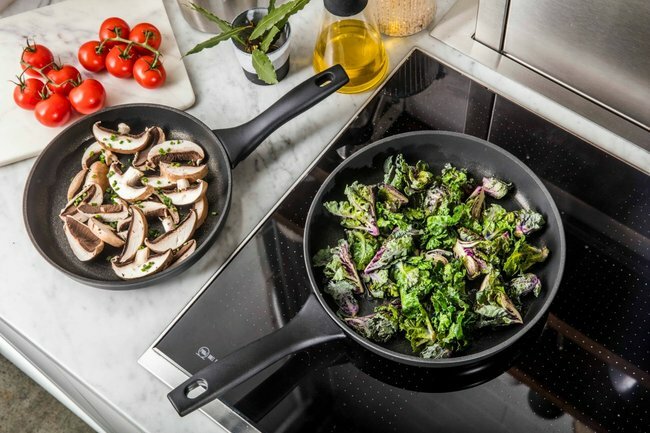 If you have recently purchased an induction cooktop or are looking to upgrade your induction cookware, Cookwarebrands.com.au sells a large range of induction suitable cookware. At any given time, they have up to 50 percent off induction cookware on brands including Essteele, RACO, Circulon and Anolon. 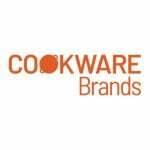 Cookwarebrands.com.au sells a large range of premium cookware brands. Image: Supplied. "The new pots and pans stay a lot cleaner," Jenny says. "There&apos;s no flame and no element so it doesn&apos;t get that build up of muck you get with a normal cooktop. You don&apos;t get that burnt stuff on the bottom." And aside from being easier to clean, the technology used in brands such as Circulon and Essteele means cooking is also stress-free. Both of these brands have induction cooktop compatible products that are of high quality, solid construction and provide even heat distribution. So whether you&apos;re moving into a new place or considering upgrading your stove top in your current home, induction cooktops can save you a lot of time and energy. Literally. What sort of stove top do you have? Have you used an induction stove top before? Tell us about it in the comments section below. This content was brought to you with thanks by our brand partner, Cookware Brands. Cookware Brands has an established reputation for providing the best premium cookware online at exceptional prices. With a range of only the best premium cookware brands, thousands of product reviews and a customer care team passionate about cookware, Cookware Brands aims to ensure you get the right cookware for your cooking style within your budget.